Large Gorgeous 3 bed, 2 bathroom, 2 car-garage home...with NEWER ROOF and NEWER AC...in a GREAT location with a pond view. 2nd and 3rd bedrooms are nice sizes!! Split floor plan for privacy for the master suite. Screened entryway leads into a light and bright open floor plan with vaulted ceilings. Kitchen has a breakfast bar and a kitchen nook and is open to the great room. Master bathroom has a jetted garden tub and separate shower. Indoor laundry room. Irrigation well gifts you LOW water bills every month. Roof was replaced in 2013 and AC/ in 2014. Great back yard...just needs a fire pit to enjoy the pond view. Located close to US 19 and County Line Rd. 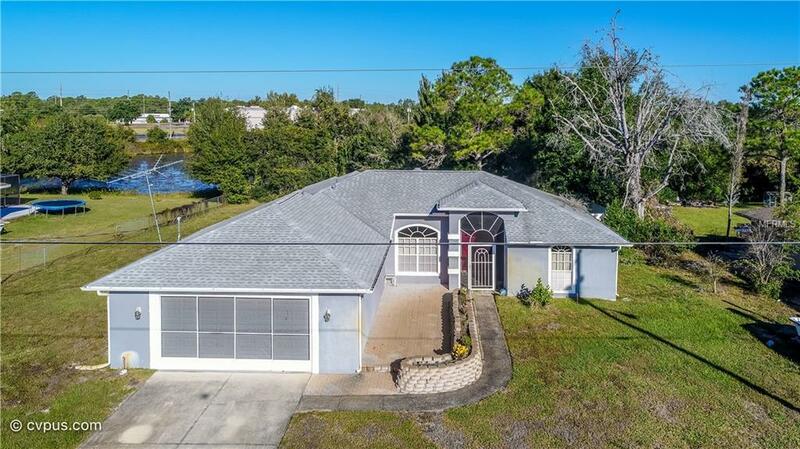 Easy access to the Suncoast Parkway for easy and fast access to Tampa. Sun West Freshwater Beach within minutes drive. Close to shopping, restaurants, and two hospitals, grocery stores. Within an hour of 2 Top 10 Beaches in the U.S.